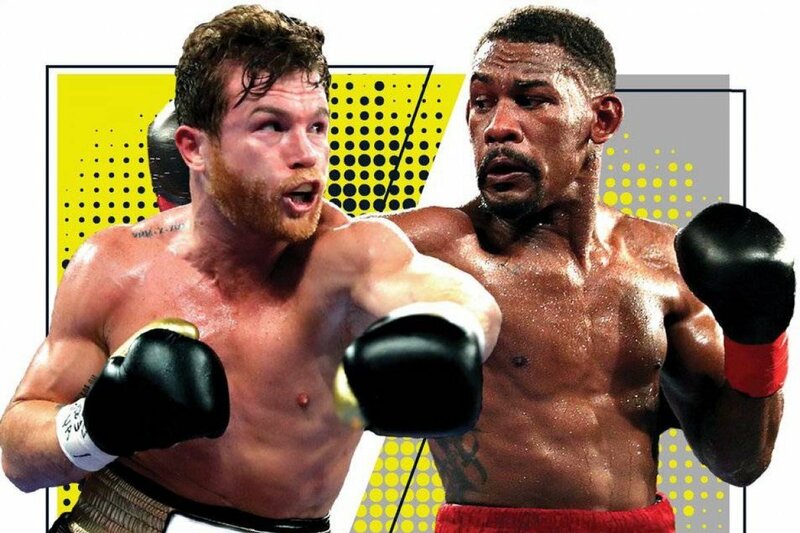 The upcoming middleweight unification between Canelo Alvarez and Daniel Jacobs will reportedly have a rehydration clause. That's according to The Ring Senior Writer, Mike Coppinger. Alvarez (51-1-2, 35 KO's) will take on Jacobs (35-2, 29 KO's) on May 4 on Cinco De Mayo weekend. The bout will likely take place at T-Mobile Arena in Las Vegas, where Alvarez has boxed in four of his last six fights. Coppinger reported late Saturday evening that a second weigh-in will take place at 8 a.m. the day of the fight. Neither fighter can weigh more than 170 pounds. Should they violate the agreement, a penalty will be issued, reported to be in the range of several-hundred thousand per pound. In October, the Mexican superstar Alvarez signed a record-shattering five-year, 11-fight deal worth a minimum of $365 million with new sports streaming service DAZN, which launched in the United States in September. Canelo made his debut under the new deal on Dec. 15 by knocking out Rocky Fielding in a third-round stoppage to win a secondary super middleweight world title at Madison Square Garden in New York City. The fight also served as Canelo's first bout at the famed venue. Jacobs won a vacant middleweight world title by split decision against Sergiy Derevyanchenko in a fun fight on Oct. 27 at the Hulu Theater at Madison Square Garden. He called out Canelo following his victory. A rehydration clause could put both fighters on a level playing field considering they are both naturally big fighters. When Jacobs fought former champion Gennady Golovkin in March 2017, he chose not to participate IBF’s same-day weigh-in for the fight. It was rumored Jacobs weighed around 190 pounds on fight night. Nevertheless, the 28-year-old Brooklyn native went on to lose a very close unanimous decision to Golovkin.